Winship House 216 W. Portland St. The project: The city spent about $750,000 to rehab windows and doors, front porch and structural work, repair stucco and reconfigure the interior to create office and meeting space. The project included an accessible lift on the interior and a ramp on the exterior, accessible restrooms, plumbing, electronic and mechanical work, cleaning and painting. The story: Werter D. Shackelford, a prominent dentist, had the house constructed about 1919. Fred E. Winship, president of Peoples Loan and Investment Co., purchased the property in 1925. The 1½-story bungalow spans about 4,230 square feet in the Roosevelt Historic District. 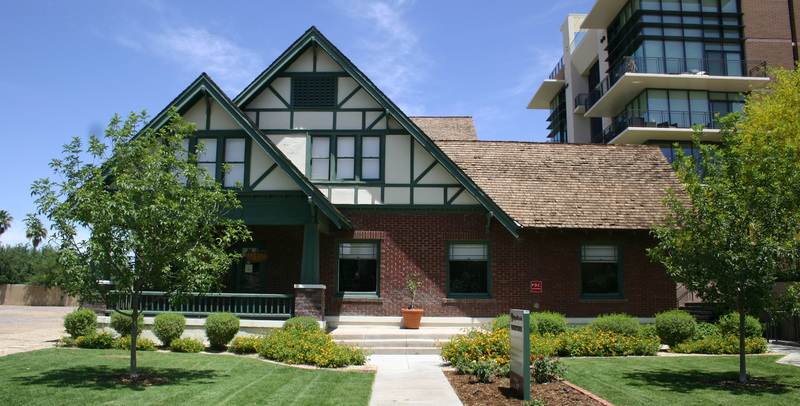 What it is today: Parks and Recreation offices, the Phoenix Parks Foundation, the Japanese Friendship Garden and the Camp Colley Foundation share the space.